Delivery time on restricted keys is 5 days. A restricted padlock is on that uses a key that cannot be copied and is not in common circulation. In this specific case the ABUS Extreme lock uses a special Pfaffenhain Y-Cylinder which operates using a curved key profile. 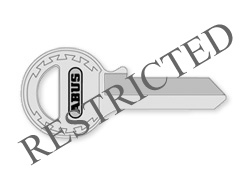 If you need more than 2 keys per padlock then you can add additional keys to your order here. So if you have 5 locks which are all keyed alike and you want 15 keys in total, you will only need to order 5 additional keys. 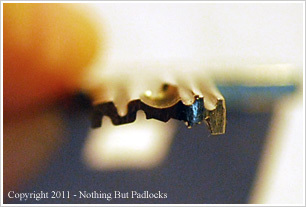 You can also order replacement keys for a previous order. Remember that these are restricted so you will need to order using the same account / email address as when you originally ordered the padlocks. Failing that please send us an email verifying you are the original owner / company who purchased the locks.